If you’re not familiar with chiropractic care, you might think of it only as a treatment for back pain. While low back pain and sciatica are commonly treated conditions, chiropractic is so much more. It is an effective option for whiplash injuries, numbness in the extremities, and tension headaches. When you’re in pain, you might try to stretch it out, apply ice, or take an over the counter pain reliever. It might seem easier to try to tackle the problem at home rather than making an appointment. In the end, though, you may be delaying the inevitable. Don’t wait until the pain interferes with standing, walking, cleaning, working, or playing. Call us; we can help. You may think that once you seek chiropractic care to help address your health concern, you will always be a chiropractic patient. In many cases, this is true, not because you have to, but because patients choose to maintain the good health they achieve through chiropractic care. We often refer to chiropractic care as following a continuum. Relief Care – This is a short-term care plan to relieve acute pain. Corrective Care – This is a slightly longer-term plan to correct the underlying condition that is causing you pain. Wellness Care – This reflects the choice to commit to your long-term health for prevention, healthy living, and full body function. You are in charge of your health. 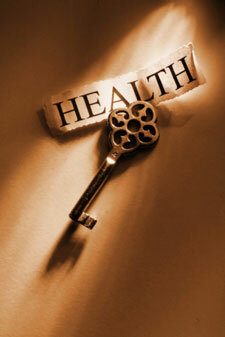 How long you continue to seek chiropractic care is entirely your decision. We can help you determine whether you are a good candidate for chiropractic care and what level of care you are interested in pursuing. Call us today to schedule your first appointment.